What makes it so enchanting? It could be partly due to the island’s preservation – both past and present. The iconic Harbourtown Lighthouse, Live Oac trees draped in Spanish Moss, and wide sand beaches make it difficult to leave. From playful Bottlenose dolphins and Egrets to great restaurants, golf, tennis and watersports – you can’t help but feel worlds away from your everyday life. If you’ve stayed here you’ll understand why people fall in love with it. To start, there are three pools to choose from (and a lazy river). The spacious and modern villas have room for friends! Lastly, the sunsets are breathtaking (they will be some of the best you experience on the island). You can play tennis all day here with three courts right outside your front door. The outdoor pool and spa, Clubhouse, Sport Court and playground make this a satisfying spot for all generations. It’s all tucked quietly amid island lushness but centrally located for convenience. These spacious one and two story villas situated on a quiet cul de sac come with all the creature comforts. Fully equipped kitchens with breakfast bars will actually make you want to cook on vacation. Two adult bikes are for exploring the miles of island bike paths. Outdoor pool, spa and Clubhouse with fitness are steps from your door. 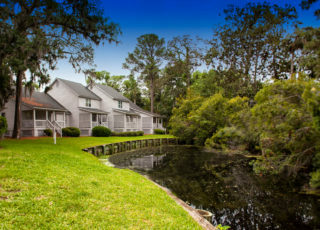 Nestled amid magnolias, Palmetto palms and Live Oaks, along a fairway and lagoon, nature will work its wonders on you. Whether it’s tiny tree frogs tweeting or deer gathering at dawn and dusk – you’ll be touched by the preserved aspects of the island. You can take it all in from your deck or poolside. 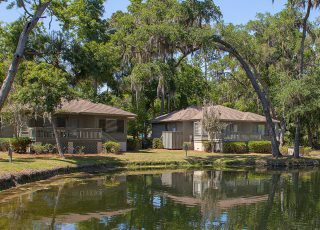 The Cottages are pure R & R. You may find yourself sitting lazily on the back porches of these quaint villas watching for birds, sunbathing gators or stray golf balls. The Cottages have an outdoor pool and spa and are a short jaunt to the Shipyard Beach. 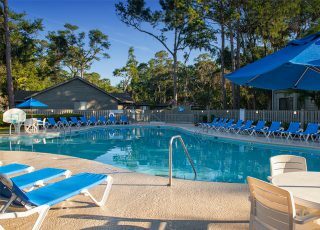 Walk two blocks to the beach or lie back on your chaise by one of Waterside’s three pools. Either way you’ll feel 100% relaxed. These villas are perfectly located to access anything on the island. Walk to fine eateries, shopping, golf and tennis. Stay here and you might have to come up with excuses if you chose not to participate! 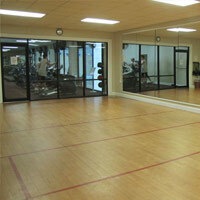 Enjoy the club facilities at your own pace, in a group, or with a personal trainer. 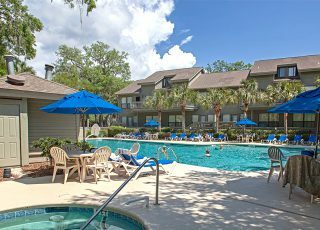 Hilton Head offers more than 14 miles of pristine, sandy beaches. Play courses that leverage the island's natural beauty and boundaries. 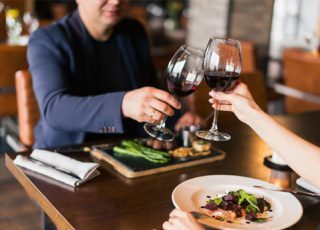 Hilton Head Island offers every type of cuisine imaginable. 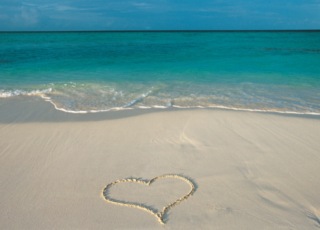 Enjoy many popular destinations within a short drive (or boat ride). Explore the outdoors, or visit Museums, theaters and art galleries. 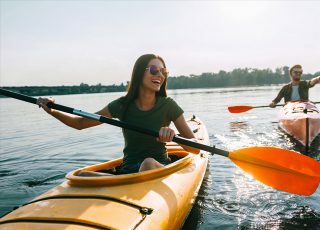 Try sailing, kayaking, or waterskiing on the Intracoastal Waterway. We have what you need to mix it up and stay motivated, all the equipment you need to achieve your fitness goals. Enjoy the club facilities at your own pace, in a group, or with a personal trainer. Our memberships are affordable, with packages to suit any health and fitness needs. For more information about joining, call us at (843) 785-3024. 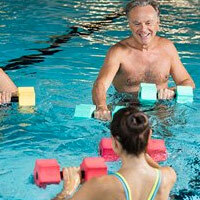 One hour water aerobics class held in our indoor pool. This easy-on-the-joints class is a great mix of aerobic and strengthening exercises. Stretch your mind body and spirit in our yoga classes. Several modifications are taught to make your experience as relaxed or as challenging as you like. Create definition throughout the body, using weights, bars and more. If you are looking for long lean muscles and a stronger core, this mat based class will give it to you. 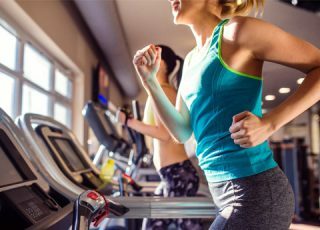 Excellent cardio workout on our stationary spin bikes. Let our instructors guide you through this intense experience. 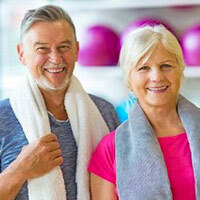 Chair based muscular strength and range of motions exercises for our healthy seniors. 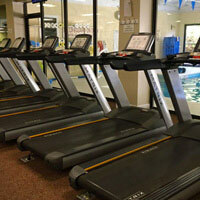 Treadmills, tread climbers, elliptical trainers, stationary and recumbent bikes, and stair climbers. 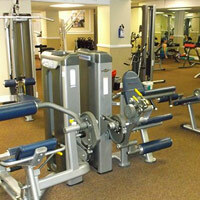 Complete line of Nautilus equipment and we are fully equipped with ample free weights and barbells. Enjoy Aqua Aerobics, swimming laps, aqua jogging or enjoy a post-workout reward. For yoga and aerobic classes or use at your leisure. Mats are provided, so no worries if you didn’t bring your own with you. 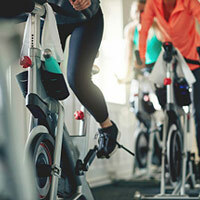 Spinning Classes are available in our renovated facility. 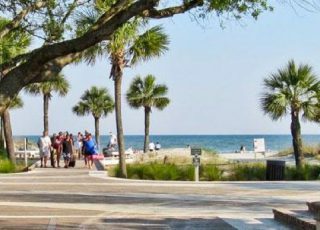 Hilton Head offers more than 14 miles of pristine, sandy beaches. 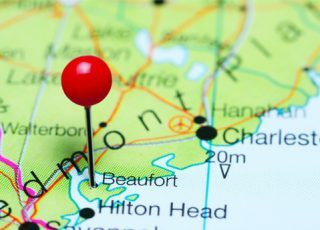 While most of it is along the Atlantic Ocean coast, some is along the Calibogue Sound, some on the Port Royal Sound at Port Royal plantation and Hilton Head plantation has a small beach next to Dolphin Head, also on Port Royal sound. The recently opened Fish Haul Creek Park offers a little known beach access to a beach on the Port Royal Sound. The beach there is quite private (NO, not that private!) and offers gentle waves instead of pounding surf. The sand below the mid tide line is usually hard packed enough to support a bicycle with wide tires, and biking on the beach at or near low tide is a popular pastime. Be aware, though, that hitting a patch of soft sand will bring you to a sudden stop. Beach bikers have learned to check the wind direction before heading out—riding into the wind is like riding uphill, and vice versa. There are seven “public access” beach areas popular with visitors (most are attended by life guards from Memorial weekend to Labor Day). Pay parking is available at all but the Islander’s Beach Park, and there are reserved parking spots for those who purchase annual beach tags (available to Hilton Head property owners only). This beach is located at Coligny circle at Pope Avenue and South Forest Beach Drive. It's the island's busiest beach, in part because volleyball nets are available and an outdoor bar is located just off the beach at the Holiday Inn. 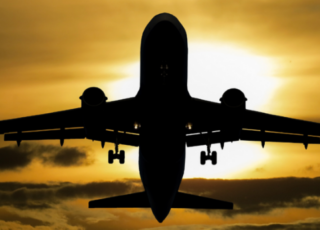 There are rest rooms, changing rooms, water fountains, sand showers, pay telephones and other amenities. Mats designed to make the beach wheelchair accessible are at this location. Life Guards rent beach equipment, Hobie Cats, recumbent bikes, sand trikes, umbrellas, etc.Parking is available at the town parking lot at the corner of South Forest Beach Drive and Pope Avenue. The entrance is on Pope across from the Exxon. It costs $4.00 for the day ($2.00 after 2:00 p.m.), with in and out privileges (keep your receipt). There is also parking closer to the beach, on Coligny Circle on the North side, but it fills up quickly. Coligny Plaza, adjacent, offers many shops and eateries. Please don't park in the Plaza to go to the beach - the merchants don't appreciate it and your vehicle may be towed. Tucked away near the end of Beach City Road, this 31-acre preserve is a sanctuary of quiet far removed from the busy visitor attractions. A shaded trail through a pristine maritime forest leads to the seashore. This section of beach, located at the heel of the shoe-shaped island, is excellent for clamming and fishing. Dog owners can let their pets run free in the sand and surf and not have to worry about disturbing sunbathers or kids building sandcastles. Another trail takes you to a boardwalk and observation deck extending into the salt marsh, offering more opportunities to view herons, egrets and other shore birds. Binoculars are available to see far off into the sound and across a vast expanse of Spartina grass. The park also features restrooms and a small pavilion with two picnic tables. 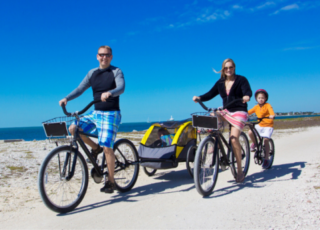 A bike path connects the park to the main recreational trail along Hilton Head Parkway, and ample parking is available near the trailhead leading to the beach and pier. Burke's Beach is located off William Hilton parkway (278 Bus.) at Burke's Beach Rd. The parking is limited, though you can park next door at Chaplin Park. There are no amenities, however there is a lifeguard stationed there. There is no beach matting for wheelchair access, but this beach is usually uncrowded. It is dog friendly before 10 a.m. and after 5 p.m. Memorial Day through Labor Day weekends, and is walking distance to the Chaplain Community Park, which includes the Best Friends Dog Park. Parking is free at the Community Park, and metered at the beach access point. Driessen Beach is also off William Hilton parkway, at Bradley Beach Rd. It has Life Guards, plenty of parking, rest rooms, sand showers and vending machines. It has a playground and a few picnic tables, one with a grill nearby. The boardwalk to the beach is quite long and requires healthy legs. If you park here, note the number of your parking space and go to the machine at the building housing the restrooms to pay. It takes quarters. This beach is equipped with the mats that make it wheelchair accessible. Folly Field beach is located on Starfish Road, a right turn off Folly Field Road. Parking is somewhat limited (52 spaces at meters at 25¢ per 15 minute period), but restrooms, sand showers, Life Guards and water fountains are available. While dangerous conditions such as riptides and undertows can exist on any beach, the Folly is an area where swimmers have (rarely) gotten in trouble. This beach also is equipped with the mats that make it wheelchair accessible. It is the favorite beach for surfers. 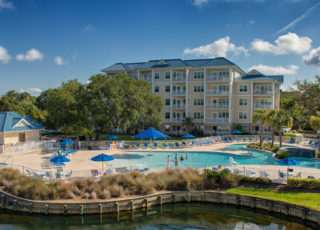 Tower Beach is located in Sea Pines plantation on the Atlantic ocean. While this beach is intended for use by property owners, and parking is restricted to property owners, it is otherwise accessible to anyone by bicycle or on foot. It provides restrooms, water fountains, and a picnic area with barbeque grills. The experience of playing the Arthur Hills Course at Palmetto Hall takes on an added dimension when you discover that the golf course was built on an old Civil War garrison. 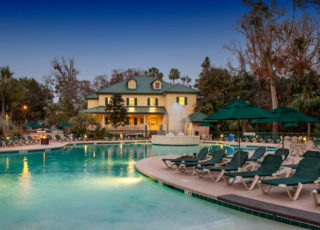 The Country Club of Hilton Head, opened in 1987, is a Rees Jones design that has earned high marks throughout the Hilton Head golfing establishment, as well as the national golfing community. Golden Bear Golf Club at Indigo Run, a Jack Nicklaus-designed golf course, has quickly earned a name for itself as one of the top-rated layouts on an island of top-flight designs. Old South Golf Links is regarded as a favorite year after year by both residents and visitors alike. Golfers of all levels are attracted to the beauty of Lowcountry golf that Old South provides. The Robert Cupp Course at Palmetto Hall can be one of the most interesting and eclectic courses you'll play, as well as possibly one of the toughest. From the back tees the course plays to 7,079, with a slope rating of 144. 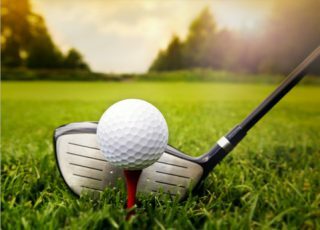 Take a stroll through the tall pines and winding doglegs of Bear Creek Golf Club’s Par 72 Championship Course. 2019 Historic Bike Tours! Family-oriented bike tours of historic sites on Squire Pope Road. Hear the story of the Fishing Co-op and their victory over the development of a chemical plant on Victoria Bluff. 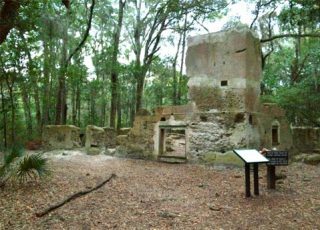 See a Gullah Cemetery and an ancient Shell Ring, the Gullah Museum of Hilton Head Island, and see the tabby ruins of Cotton Hope Plantation–all with a knowledgeable tour guide. This tour is 2.8 miles in length. For more information, please visit the website. Join Dr. Al Segars, retired veterinarian with the SCDNR at the Coastal Discovery Museum, for a presentation on the marine mammals sharing our coast focusing on the critically endangered Northern Right Whale. For more information, please visit the website. This exciting seasonal event returns this spring, Thursday at Neptune Statue, combining the best local bands with delicious food and drinks. For more information, please visit the website. The 2018-2019 season of the Hilton Head Symphony Orchestra presents an array of musical styles, textures and emotions that bring the ravishing beauty of the musical terrain of our region. For more information, please visit the website. Trail Rides through the Sea Pines Forest Preserve with Lawton Stables. Meander through the preserve on horseback for the true feel of the untouched Lowcountry. Trail riders must be at least 8 years old. Reservations are required. For information, please visit the website. FAT TUESDAYS ~ A Swingin’ Celebration of New Orleans & Beyond! For more information, please visit the website. The Harbour Town Lighthouse Museum is open daily. Explore Hilton Head Island’s rich history and learn the story behind its famed lighthouse in this unique museum-like setting. For more information, please visit the website. The First Tee of the Lowcountry is open to the public daily, 9 a.m.-5 p.m. Amenities include a 6-hole, par 3 golf course, driving range, 2 USGA greens, short game practice area, 9-hole Disc Golf Course and stocked fishing pond. Admission includes unlimited use of the facility. For more information, please visit the website. Looking for a fun and friendly tasting room experience? Join us at our Cardinal Road facility to taste our world-class spirits. We pride ourselves on using fresh molasses, sourced from Savannah, Georgia, as the foundational ingredient for all of our spirits. For more information, please visit the website. Tanger Outlets Memorial Day Sale! 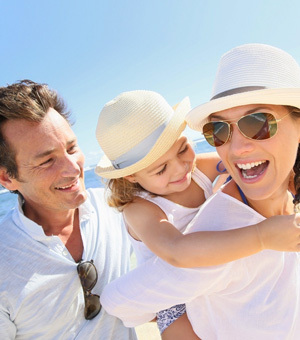 Come join the FUN with your friends and family when you shop Tanger Outlets during the Memorial Day sale! Find extra savings on many of your favorite name brand stores. For more information, please visit the website. You’re invited! Check out Harbour Town and enjoy Gregg Russell. For more information, please visit the website.